YOU can help feed the hungry of Milwaukee in only a few minutes! 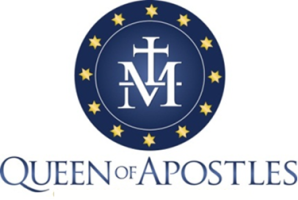 On the third Thursday of alternating months, Queen of Apostles donates & serves food at the St. Vincent de Paul Meal Center. You can donate the main entrée, institutional sized cans of fruit or vegetables or 3 dozen cookies along with other important meal items. Drop off is the night before or anytime before 3:00 pm the day we serve. We also need servers and drivers to take the food to the center. That commitment is only about 3 hours. The sign up sheet for the 2018-2019 year is in the Narthex or you can click here for the 2018-2019 Meal Program Sign Up Sheet. Please help the hungry by donating. You can make an enormous difference without adjusting your schedule. Please call Cindy Klopp at (414) 531-1817.